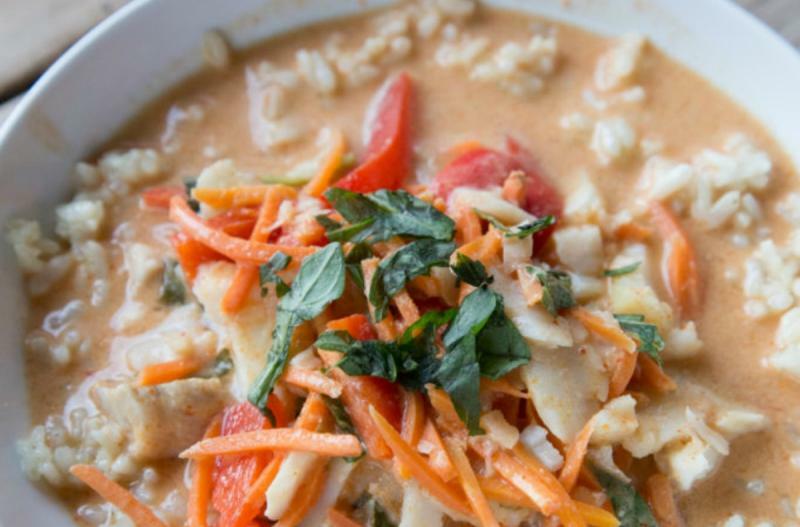 This is a simple red curry sauce with some veggies and the mild whitefish, cod. If you’re not a fish fan, you could certainly substitute the white fish for small pieces of chicken, beef or pork. Also, this would be amazing with salmon too! To the slow cooker insert, add the cans of coconut milk and whisk in the curry paste, curry powder, ground ginger and garlic powder. Gently stir in the sliced bell peppers, julienned carrots and whole cod fillet(s). Set on low and cook on high for 2 hours. Once finished cooking, gently pull the fish apart into bite size pieces. Season with salt and pepper to taste. Serve Slow Cooker Red Curry with Cod over rice with cilantro and green onion garnish. Open 4 cans of coconut milk. 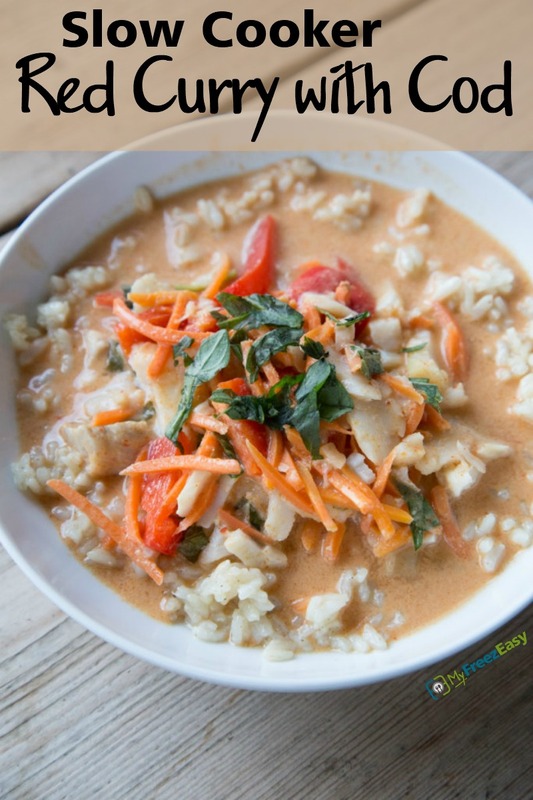 Whisk together 4 cans of light coconut milk, 6 Tbsp red curry paste, 2 Tbsp curry powder, 2 tsp ground ginger, and 2 tsp garlic powder. Put baggie in the freezer and freeze up to 6 months in fridge freezer or 12 months in a deep freezer. Thaw in the fridge overnight, or a warm bowl of water for about 20 minutes, before transferring to the slow cooker and cooking on high for 2 hours. Add the contents of the freezer baggie to the slow cooker and cook on high for 2 hours. Once cooked, flake the fish into bite size pieces.